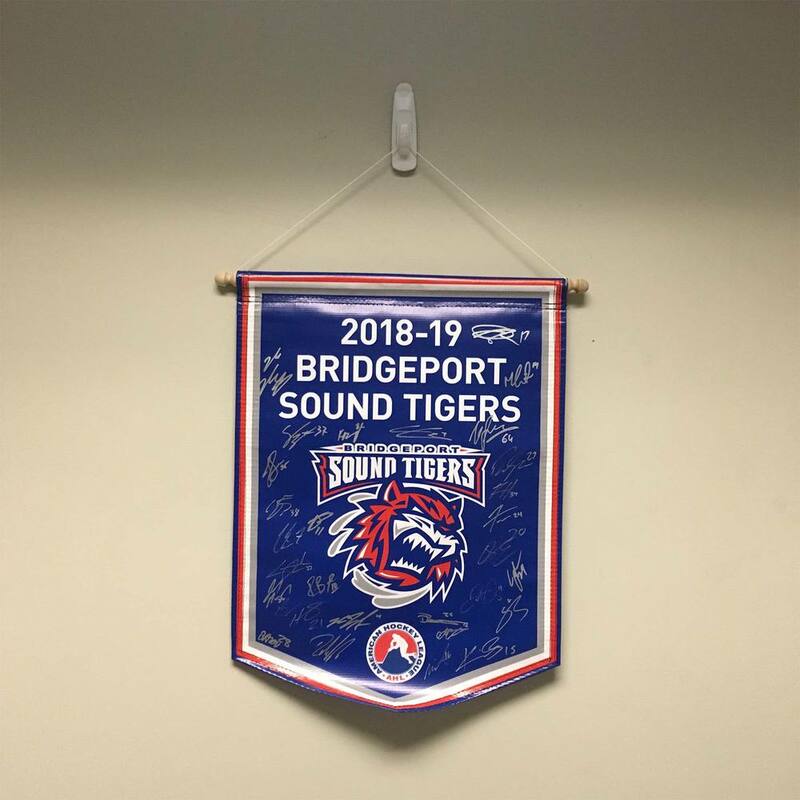 Place your bid now 2018-19 Bridgeport Sound Tigers team-signed fan banner! This item is a vinyl banner with 1" Pole Pocket Dowel and Rope to hang. This banner is 2 of 2 created. 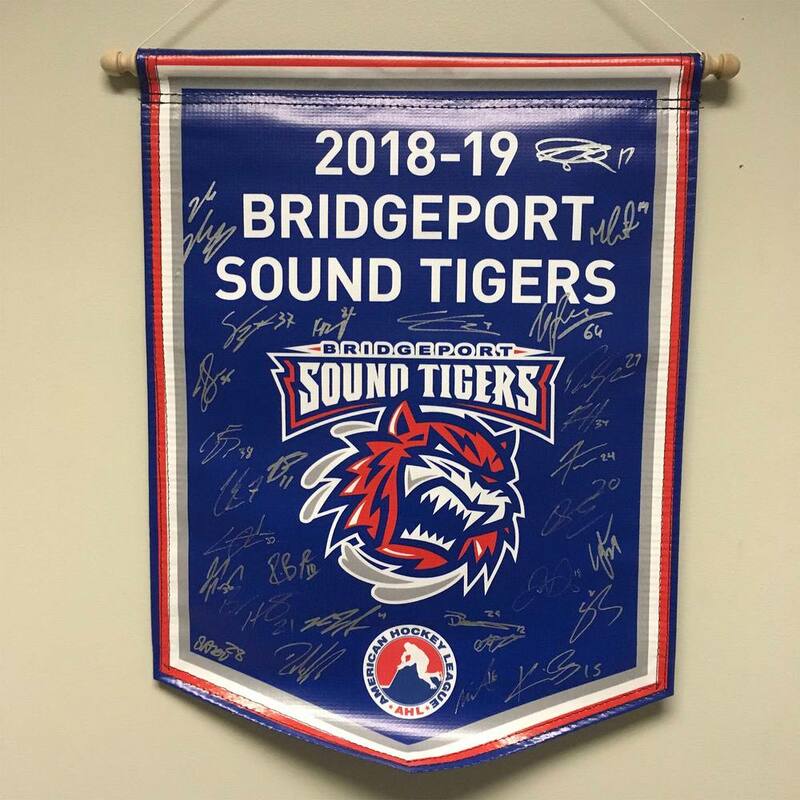 Certificate of Authenticity will come with the shipment of this banner.